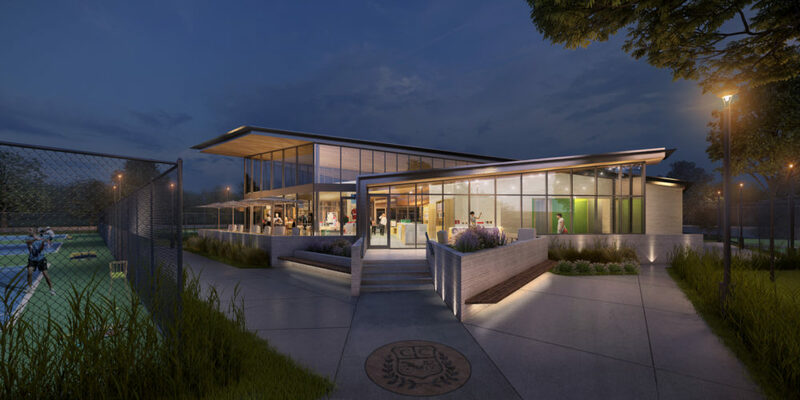 Historic Carriage Club, located in the heart of Kansas City, Missouri, trusted Generator Studio to work closely with membership to implement a bold, new direction for the Club’s tennis program. Carriage Club is committed to superior, discerning service; the delivery of this new facility will offer that and more. 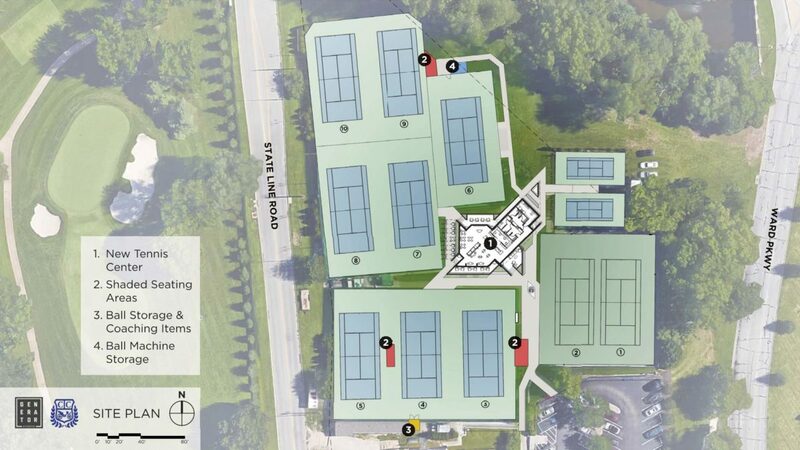 The striking design is sited to be the heart of the 12 court campus, tying together paddle and tennis courts with a series of dispersed, shaded viewing areas. 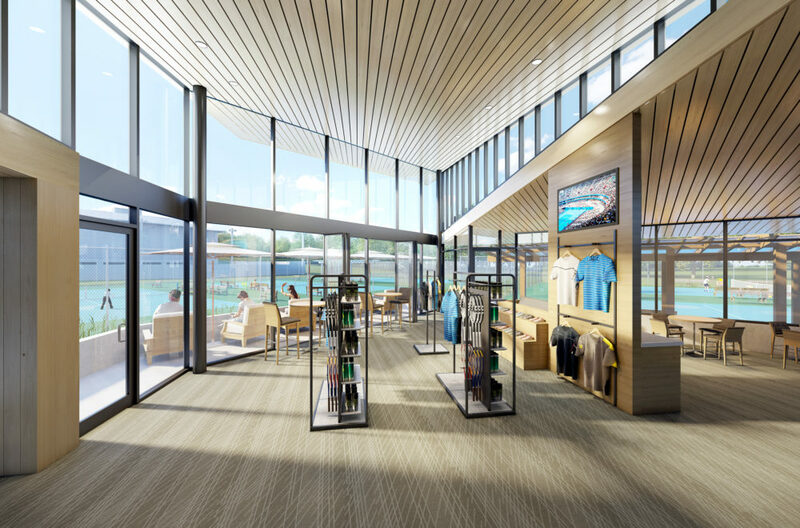 The 3,800 SF tennis center will include a pro shop; a central hub for tennis staff; lounge seating anchored by food and beverage; locker rooms; and support spaces for laundry and stringing. Ample, operable glass and a variety of interior and exterior seat groupings afford elevated views to every court in the complex. An outdoor, covered and heated patio, complete with an exterior bar, allows for social gathering in the winter months, when paddle is king. The pavilion is slated to begin construction in July of 2018 and represents the second of three projects Generator is delivering to the Club.